As April waters warm up around the Tri-State area, fishing season is truly getting underway. Those of us that try for winter flounder are still waiting for the water to reach that magic 48 degree mark (current NOAA temps below), with the flats, like in Jamaica Barnegat and Raritan Bays, warming up quickest. A few flatties are being reported in Toms River and the estuaries around Raritan Bay. Schoolie stripers, with a few keepers mixed in, have begun their migration up the coast and should improve as April moves on.Tog season has reopened in NY, NJ and CT with the wrecks and bridges producing small fish and a few hogs. Let’s hope the warming trend continues. Tight lines! All fishermen are welcome. If you have a 10+ pounder post the pic! Join us on Facebook. CHECK OUT OUR RECIPE PAGE FOR IDEAS ON COOKING YOUR FISH AND MORE. Early spring in Great Kills on Staten Island. For updated fishing reports click on the Nor’east.com. Flounder (winter flounder, not summer flounder which I will always call fluke) start to show up on the flats in Jamaica Bay and across the channel in Raritan Bay when water temps start getting in the 40’s, with 48-52 considered optimal. When the water heats up past 50 degrees, hungry spring striped bass search the beaches and channels for baitfish. Then the bunker show up as they are chased down and devoured by packs of voracious bluefish. Fishing on the island of Manhattan and around the New York City area is unlike any fishing experience you will ever have. Friends and acquaintances always find it surprising to here that there are fish in our waters. They say fish have no business in these waters, but the facts are indisputable. Cleaner water has brought the fish back from the bad old days of the 70’s and 80’s. The ever evolving and improving 32-mile Manhattan Waterfront Greenway Trail features 23 miles of waterfront pathways for bikers, joggers and fishermen. There are many upgraded access points throughout the waterfront of our five boroughs and amenities vary from place to place. After years of neglect, then haphazard commercial exploitation, city residents now have been gifted priority access to our wonderful waterways with new paths and parks, and many new places that feature useful fishing stations. Track the early spring action with On The Water and their Fishing Forecast, updated each Thursday! Early in the spring, there is a great abundance of fish in the Hudson, which use this waterway as home or nursery. Over 100 species of fish swim in its waters-from shad and striped bass to eels, anchovies, perch, blue crab, sturgeon, large and smallmouth bass, sunfish and trout. No license is required in the main-stem Hudson, but one is necessary on its tributaries. Fishing from shore is popular and usually successful. However, knowledge of a local area and the tides in the river are helpful. Battery Park is a great spot for early season stripers. Wow. This is a great example of one of the astounding public spaces created during New York’s waterfront revival. Miles of public water access has been created in an area that was a symbol of the neglect of the preceding era. The refurbished piers provide a variety of fishing opportunities for all skill levels. This is a heaven to kids who are urban anglers. Hudson River Park Trust’s fishing program features catch-and-release fishing in Tribeca (Pier 25), Greenwich Village (Pier 45 ), and Chelsea (Pier 66A). This program is fun for all ages and is appropriate for kids as young as five. They provide all of the necessary supplies, including rod, reel and bait, as well as formal instruction for all participants. The program begins with a brief introduction into Hudson River ecology and water quality, followed by an overview of the many species of fish that live in the River and the Hudson River Park Estuarine Sanctuary. Call for details. Class trips welcomed! LOCATION: Sea walls behind Battery Gardens. Fish the Battery behind the World Financial Center. The North And South Coves, in the south cove there’s a pier and north of the pier is a marina. Around the north end up to Christopher St Pier. AVAILABLE FACILITIES: Some of the best public facilities down at Battery Park next to Battery gardens. Refreshment, new facilities, clean bathrooms at Christopher Street Pier. BEST TIME AND TIDE: An hour either side of high tide. Lots of old piers and hidden debris. Bring plenty of rigs. Great spring and fall striper spot. Great Blackfishing along the pilings in November. No giant fish, but good action. SIGHTS- World Financial Center, Ellis Island, Statue of Liberty, Staten Island Ferry and New York Harbor. Open 7 Days & All Holidays10:00 A.M. – 7:00 P.M. Long-running fishing shop offering fresh- & saltwater rods, reels, lures & hooks. In early spring, millions of striped bass migrate from the Atlantic Ocean up the Hudson River to spawn. The large schools attract crowds of fishermen to the shores of Manhattan. On weekend afternoons, dozens of urban anglers fish along the rail at the edge of the Hudson, hoping to pull a striper out of the water onto the pavement. Riverside Park South is the largest new green space along the west side of Manhattan . These seven acres of parkland are the first of 27.5, which will be developed between 72nd and 59th streets. A promontory, esplanade, and winding walkway welcome visitors who wish to enjoy nature and experience the river. https://videopress.com/embed/CbiuuxJ7?hd=0&autoPlay=0&permalink=0&loop=0Pier I, a 715-foot recreational pier, is built atop the remains of the original wooden shipping pier. Visitors to the pier are surrounded by the river almost completely, experiencing a view of Manhattan and New Jersey once reserved for sailors. It is a good spot for stripers. “Pier I and most of Riverside Park South were originally part of the abandoned Penn Central railyard between 59th and 72nd Streets. Reconstructed to its original length of 795 feet, the pier has been narrowed considerably and is now only about 55 feet at its widest part where it once was wide enough to fit four parallel railroad tracks. Most piers are built perpendicular to the shore, but Pier I, along with its old neighbors Piers B, D, E, F and G as well as the nearby gantry, were built at a 55-degree angle to the shore to facilitate the transfer of rail cars from their tracks to a waiting barge. Only pilings remain of Piers B, D, E, F and G, but the ninety-five year old gantry remains standing today. BEST TIME AND TIDE: An hour either side of high tide. Lots of old piers and hidden debris. Bring plenty of rigs. On a bend of the East River on Manhattan’s Lower East Side is a park named after this waterway and recently co-named after a former mayor. In contrast to Riverside Park with its Olmstedian layout, complex topography, and access, the 57.5-acre East River Park has only seven entrances along its 1.3-miles of waterfront, with the FDR Drive separating it from the Lower East Side neighborhood. It is a product of Robert Moses, who sought to balance the highway with a park and give this crowded corner of Manhattan much-needed green space. Join us for summer fishing and hanging out on the East River with the Ecology Center. Bait and tackle will be provided (or bring your own) as well as basic fishing instruction. Tickets get you drinks, snacks, and an exclusive look into the Ecology Center’s Environmental Learning Center. 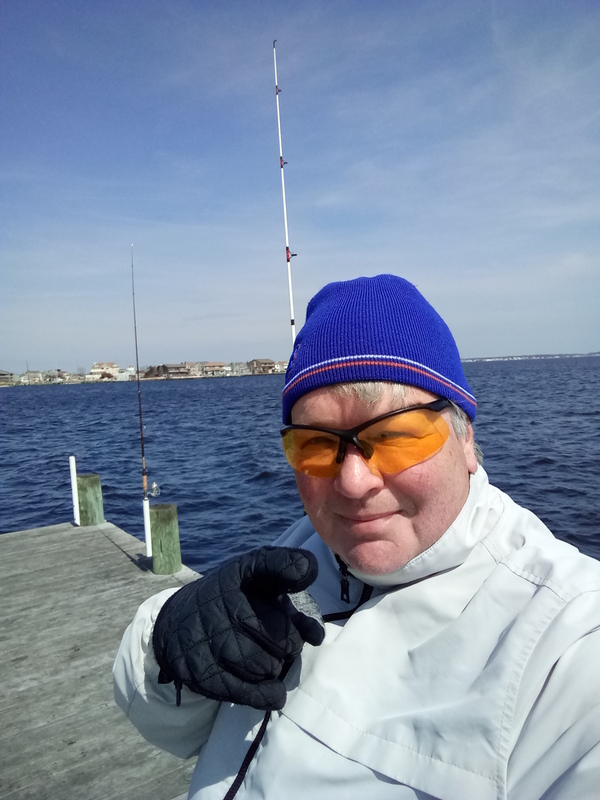 FISH: Spring– Striped bass, Flounder Summer– Fluke, Bluefish Fall- Blackfish, Striped Bass and Bluefish Winter- Stripers near the Con Ed plant outflow (I would not recommend eating these guys!). BEST TIME AND TIDE: An hour either side of high-tide is best. The water moves fast during changing tides, so bring plenty of rigs. Look for tidal rips and fish around them. This walkway along the Narrows is loaded is year round fishing opportunities. The American Veterans Memorial Pier at 69th St is located south of Owl’s Head Park, is one of Bay Ridge’s best spots to drop a salty line in the early spring. The area recently welcomed its first Eco Dock, a $1.1 million storm-resilient dock, which is used for commuter ferries, educational programming and recreational boating opportunities. A good fishing seawall runs for about three miles along the harbor next to the Belt Parkway and around past Ft Hamilton and Gravesend bay. There are access points all along the way- Parking Areas are along the Eastbound Belt. Pwky. (Rt. 27) near the VZ Bridge, and near Bay 8th. Street; Park on Shore Road near 69th. Street to access the pier; Park on Shore Road near 80th Street, then walk the foot bridge over to access that area. There is also access at Shore Road at 104th st under the VZ Bridge. The pier is a good spot for stripers and there are flats by Fort Hamilton high school where you can find winter flounder on sunny days. LOCATION: It begins at Bay Parkway and Ends at the ’69th. Street Pier’ The Verrazano Narrows Bridge is its nearest Landmark. The Bay Ridge neighborhood that was the setting for “Saturday Night Fever” still has plenty of great restaurants and bars. AVAILABLE FACILITIES: Port-A-San toilets are located near these fishing areas and they ain’t pretty. Sunset over 69th Street Pier by John Nolan. BEST TIME AND TIDE: One hour either side of high tide. Trails, benches, blinds and gardens make it quite human-friendly. A Visitor Center provides maps, guides, trail brochures, and a display room. Park Rangers give interpretive talks and lead nature walks on a year-round basis. Constructed on the site of Barren Island and additional landfill, Floyd Bennett Field was New York City’s first municipal airport. The airport is located in the southern part of Brooklyn between Flatbush Avenue and Jamaica Bay, and was completed in 1930 ( a smaller airfield, Barren Island Airport, had been there since the mid-1920s) and dedicated by Mayor Jimmy Walker. Open All Year 8:30 a.m. — 5 p.m. Educators please take note- Great Class Trip. AVAILABLE FACILITIES: Port-A-San toilets are located near these fishing areas and they are for the strong of stomach. PERMIT: Gateway Parking Permit or Gateway Four-wheel Drive Permit. During the first half of the season the last day to obtain a permit is April 17th. Those without permits can car-pool with permit holders. Longstanding shop providing fresh & frozen bait, rods, reels & tackle for decades. Joe Verde Is A 4th. Generation Manager Of STELLA MARIS. The Name “STELLA MARIS” Is An Italian word Meaning “Star Of The Sea!.” Small, humble retailer selling brand-name fishing rods & reels, along with live bait & ice. Fishing-supply center stocking bait & tackle plus rods, reels & equipment from popular brands. Full Service B&T. Old Reels,Unique Assortment Of Floats From Around The World. Sells artificial freshater baits. No Freshwater License Sales. Closest b&t to Gantry State Park Pier in Hunters Point/Long Island City, Queens. “Mowimy Po Polsku” (Which Means They Speak Polish). Hey All! We now have FRESH bunker, worms, clams and crabs! Stripped Bass season starts this Sunday, April 15th! Blackfish season ends April 30th! Fifth Avenue Near 67th. Street, Bay Ridge. While The Store May Be A Bit Small And Cramped, It Is Indeed A Full Service B&T. Custom Rod Building, Reel Repair. No Freshwater License Sales. Closest B&T To The “69th. Street Pier”, And “Prospect Park” For Your Freshwater Anglers. No matter how many times you’ve been on the ferry, the 5.2-mile sail from Whitehall Terminal to St. George Terminal will take your breath away. The ferry offers unbeatable vistas of lower Manhattan, the Brooklyn Bridge, downtown and southern Brooklyn, The Narrows, and Ellis Island and the Statue of Liberty — world-class attractions, all. The ferry makes 104 trips daily and claims an on-time performance rate of 96%. Local anglers say that Raritan Bay has some of the best fishing in the Northeast, superior to anything found in New Jersey or Long Island, except for Montauk. The reason is that baitfish swim into the bay and stay for two or three months, the bigger fish follow. In early spring you get stripers early and pockets of winter flounder pushing into the shallows of Raritan Bay. This park is home to a beautiful swimming beach with a new bathhouse and snack bar. Also located here are nature trails, great fishing, a marina, a public boat launch, paths for walking and jogging, and playing fields. Great Kills Park is part of Gateway National Recreation Area, National Park Service. Free Parking is available. Permit gets you closer to The Point. Brother Colin working the inlet in Great Kills. Open All Year 9 a.m. — 4:30 p.m., Friday –Monday Closures – The ranger station is closed on Thanksgiving, December 25 and January 1. Special Programs – Some ranger-led programs start at the station. Call for details. AVAILABLE FACILITIES – Restrooms are available at the beach houses. Port-A-San toilets are located near these fishing areas. PERMIT: Gateway Fishing Permit. Those without permits can car pool with a permit holder to the park. DIRECTIONS: Verezanno Bridge, exit right to Hylan Blvd., make left approx 4 miles, entrance on right. From SI ferry, S78 bus to park. BEST TIME AND TIDE: The last two hours of the outgoing and the first two hours of the incoming tides are best. The area’s bottom consists of packed mud and sand. There are sharp drop offs near the channel. Walk two feet into the water and the drop can be up to eight feet. Back bay to 30 feet. In addition, we are the premier manufacturer & supplier of saltwater traps. We cater to both wholesale and commercial customers. We provide custom sales and service for building fish, lobster or any trap to your specifications. We are distributors of PVC coated and galvanized Riverdale wire. I nominated you for the mystery blogger award. If you go to Cupcake Cache, you will be able to read about it. I was nominated and then nominated blogs I enjoy reading and one is yours. Most likely, because we share a love of New York. Good article but i believe everyone needs a NYState permit(free) to fish.